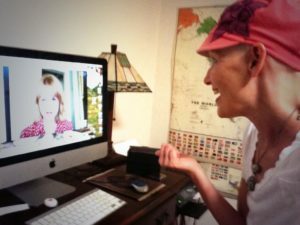 Over the past two years, on TWE Radio and here on The Women’s Eye, we have followed along on Ann Murray Paige’s emotional and inspiring life journey…sprinkled with a lot of humor, tips and …oh yeah, cancer. This seasoned journalist, former New England anchorwoman, wife and mother of two, says her life changed in a “profound and permanent” way when she was diagnosed, at 38, with breast cancer in 2004. 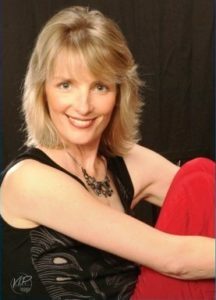 Not one to retreat into a pool of pity, Ann chronicled her journey in The Breast Cancer Diaries; she started a non-profit called Project Pink, and she became a masterful blogger for projectpinkdiary.com. Then, in 2010, she was told the cancer had metastasized to her lungs. Again, she faced it head on by writing the ultimate “cancer CliffsNotes,” Pink Tips. She even took her on-air talent and writing skills and produced a one-woman show, “In the Pink.” She was ready to take it on the road after two performances when, earlier this year, she was told … again… that the cancer had found its way to her brain and liver. But we’re not worried. This gal has got what it takes to beat this… and a lot of that she says is having the right attitude. Ann took time during her recent chemo treatments to share how she’s doing, her thoughts on Angelina Jolie’s recent headline-grabbing surgery and winning The One Hundred award in front of a hometown Boston crowd. Here’s her moving acceptance speech after receiving the award from the Massachusetts General Hospital Cancer Center hosted by “The Office” star John Krasinski. UPDATE 3/17/14–So sad to report that Ann passed away on Mar. 16. She lived life to the fullest and we so enjoyed having her a part of The Women’s Eye. We send our condolences to her family and will miss her kind and giving spirit. UPDATE 10/1/13–Don’t miss Kristin Meekhof’s terrific story, ‘A Breast Cancer Heroine,‘ in the HuffPost about Ann as we begin Breast Cancer Awareness Month today. With the country’s attention focused heavily on breast cancer this month, there is story after inspiring story of amazing survivors of this disease. But one woman’s journey in particular, Ann Murray Paige, truly captures the spirit of what it means to be a breast cancer fighter! Mutual friends Susie Stangland and Lee Woodruff, whom we profiled earlier this year, introduced me to Ann, and I am so grateful they did. This Emmy-nominated New England TV journalist, wife, and mother of two adorable young children, was diagnosed with breast cancer at only 38. Her dream of having a third child ended there. She writes an award-winning blog Project Pink , and her just-released book, “pink tips: breast cancer advice from someone who’s been there,” is the cancer Cliffsnotes she wished she had. We both worked in television news and share a love of “Charlie’s Angels” (don’t ask!!! ), so I wanted to get to know this “warrior in pink” better. I soon learned cancer picked the wrong gal when it picked her.